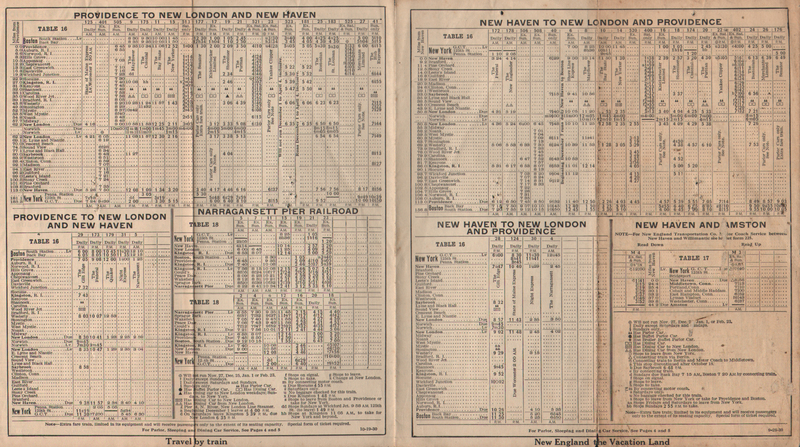 Description New York, New Haven and Hartford (N.Y.N.H.&H.) Railroad 1930 Form 209 October 20, 1930 Timetables. 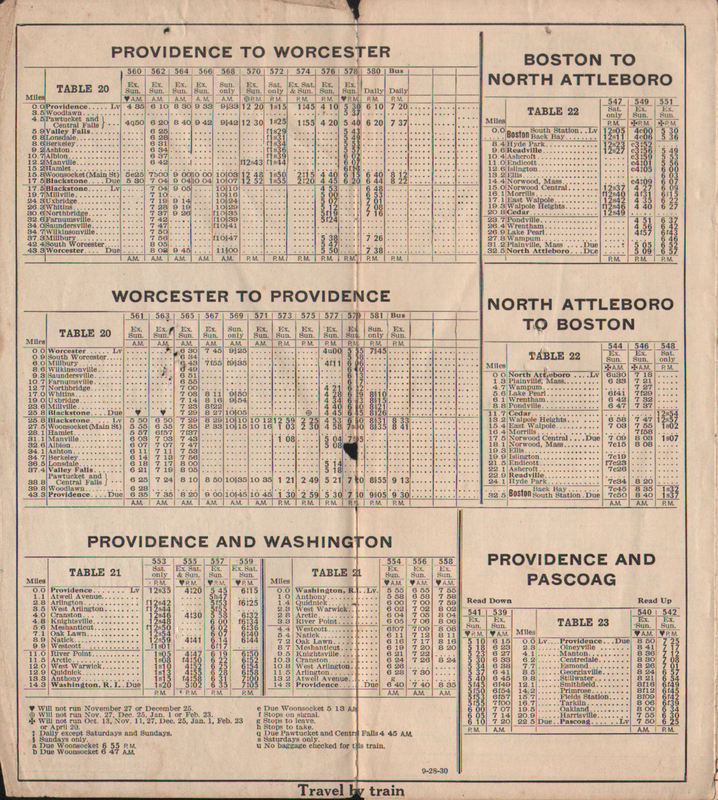 Local/Regional time tables for Providence, Boston and New Haven. 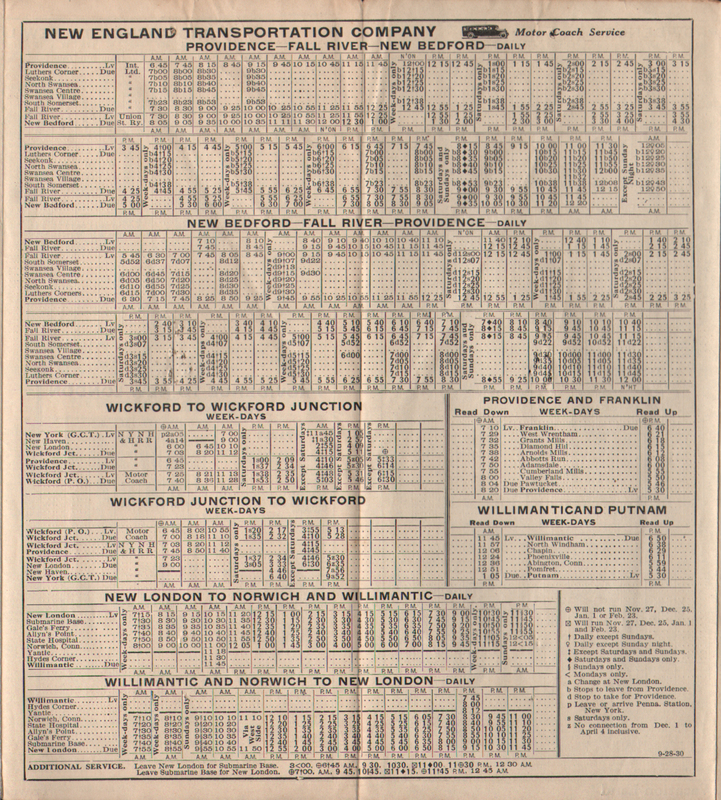 Worcester, Washington and Pascoag. Boston and North Attleboro. New Haven and Amston. Narraganset Pier Railroad.